Saturday 9:00 a.m. 12:00 p.m. 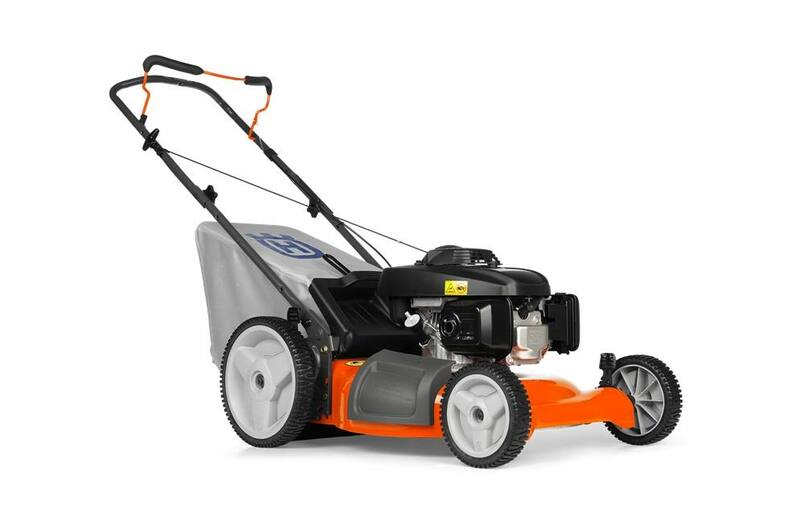 This efficient mower features a compact design, making it easy to maneuver in tight spaces, and three cutting systems, collection, mulch and side discharge. The handle folds for easy storage and transportation and double ball-bearing wheels ensure smooth operation and durability. The 7021P also offers 4-point, 9 position cutting height adjustment for varying lawn conditions. Honda GCV-engine: High-spec Honda engine. Powerful and easy starting. 3-in-1 Cutting System: All homeowner walk mower models come complete with mulching, rear bag, and side discharge capabilities. 12" High Rear Wheels: Increases maneuverability in a variety of terrain. Double Ball Bearings on Wheels: Ensures the mower rolls easily even after many years of use. Foldable handle: For simplified transport and storage. Fuel Tank Volume: 0.95 qt. Cutting height, min-max (approximate): 1.25 - 3.42 in. Wheel size, front/rear: 8 in./12 in. Front: 8 in. ; Rear: 12 in.